The deportation occurs within the context of a wider crackdown on irregular migration in Morocco, which has come to be a crucial entry point for African refugees and migrants hoping to reach Europe via Spain. The Moroccan government’s crackdown has seen the arrest, displacement, and increasingly the deportation of sub-Saharan migrants, including some of those who have valid residency permits. Earlier this month there was also evidence of the measures being turned on Moroccan citizens, when Moroccan Royal Navy shot and killed a young Moroccan woman who had aboard a boat illegally carrying refugees and migrants toward Spain. Human rights groups have reported the rising anti-migrant sentiment being reflected among the general population. Irregular immigration into Europe via Morocco has been high on the agenda in recent EU-Morocco negotiations, after the European Union agreed to awarding Morocco a $275 million aid package last month. The Moroccan foreign minister Nasser Bourita, however, has denied that EU is dictating its domestic immigration policies. “Morocco does not play and will never play the role of policeman for the European Union,” he said. Readmission pathways between the two countries were the subject of a 1992 bilateral agreement. While it has rarely been used, in August it provided the grounds for accelerated expulsion of 116 migrants from Spain back to Morocco. 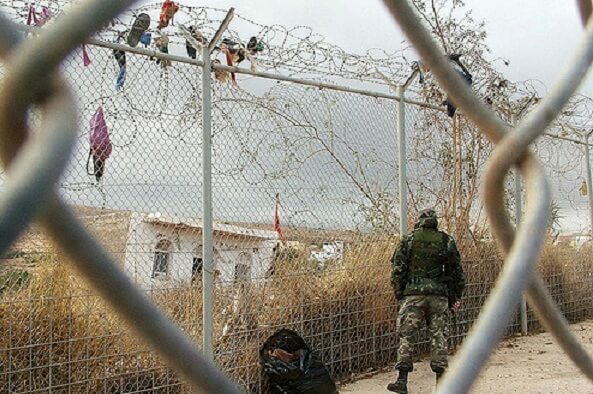 However, similar cases of blanket push-backs at the Spanish enclave of Melilla were found to be unlawful by the European Court of Human Rights in 2017.